Dani Shapiro is one of my new favorite authors of all-time! Her writing is intimate and candid, though dark and real. Sadly, Black and White is her latest novel and already going on four years old! However, Shapiro has recently released a memoir called Devotion . 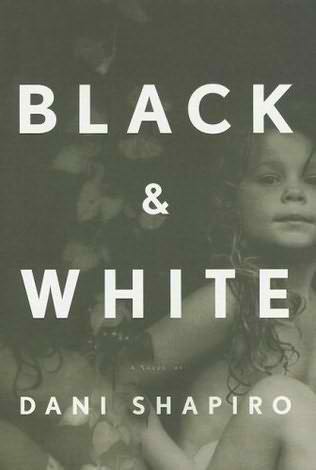 Black and White is about Clara, a woman intent on protecting her young daughter Sam from learning the truth about her grandmother Ruth, a famous artist who used Clara by exploiting her naked body as art in the form of photography. When Ruth is living out her last days suffering from cancer, Clara decides to revisit Ruth -- and her past, and eventually must expose her daughter to the real truth about her family. 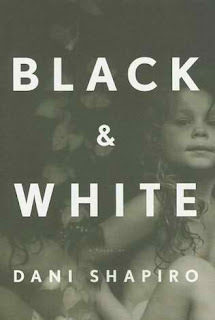 Black and White is already the best novel I've read so far in 2011 and will undoubtedly belong on my "best of" list. In various synopses of Black and White online, Dani Shapiro is being compared to Anita Shreve and Jodi Picoult , but whoever stated that "fact" is so far from the truth because Dani Shapiro is far above both authors on her own stellar level. Dani Shapiro is so moving that she'll bring you to tears. Black and White is touching because Clara is so estranged from her mother that it makes you think twice about the relationships expected to endure and persevere from immediate family even when its healthier not to. Clara's choices are very smart. Reading this novel, I fully agree with Clara on all levels regarding making the decision to break off the relationship with her mother. The evident struggle within Black and White concerns the issue of Clara being honest and up-front about Ruth with her daughter Sam, but I think Clara comes clean and exposes the truth at the appropriate time in Sam's life, when she is old enough to understand. When Clara finally does reunite with her mother Ruth, we see that sadness is inevitable because all of a sudden, Clara and Ruth must swiftly catch up on their missed years before Ruth dies. I also appreciate and fully understand the white lies Clara continually tells herself over the years in trying to forget her mother and heal from her abuse; thoughts such as "I never think about my mother" and "All that is behind me now". Although Clara is trying desperately hard to move on, this is proof that our family always remains close in our hearts despite how difficult times have been and how we must move on to heal. Most of all, I love Black and White because Dani Shapiro -- and Clara strongly remind me of myself. Clara mentions at one point how motherhood is a secret club she never received the password for, and I couldn't agree more. Like Clara, I am officially estranged from my mother, and although it is very healthy for me to be apart from her, I can't help but remember the better times and the love and trust I once had for her. It's just what we do. Family History is another novel by Dani Shapiro that engendered similar emotions and feelings in me when I read it. I HIGHLY and STRONGLY recommend reading Family History (2003) as well, and it was one of the best books I read in 2009. I'm still trying to track down Dani Shapiro's other novels including Picturing the Wreck (1996), Fugitive Blue (1993) and Playing With Fire (1990). She's got a fan for life in me!